Text on Back: Courtesy, caution and common sense can curtail car Casualties! 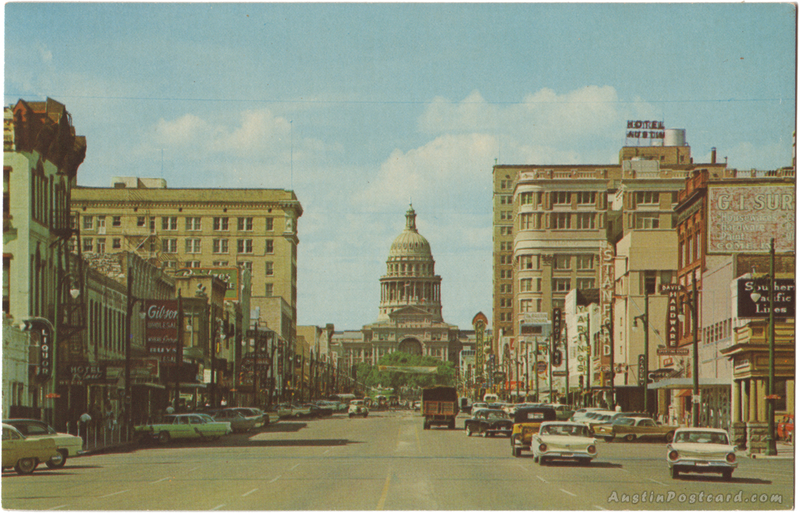 ES–21 Congress Avenue, Austin, Texas, looking north toward the Capitol. Austin is a city of beautiful home, beautiful drives, lakes, hills and many inviting recreation centers.